It’s becoming increasingly apparent the future of automobiles is electrified. Exactly what form or shape that will take is most definitely up in the air. While Tesla has been disrupting the market and rattling major automakers, other startups are quietly creeping in to grab some of the spotlight. One of those new automakers, Atlis Motor Vehicles, is focusing on one segment at the moment: all-electric pickup trucks. The company boasts some compelling technologies which could push the envelope and ultimately help convince shoppers to make the switch from internal combustion engines. Based in Arizona, a land known for its rugged landscape, it should be no surprise Atlis Motor Vehicles would focus on building a pickup truck. 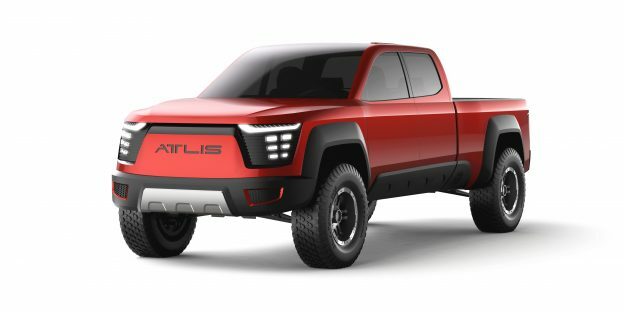 A rendering of the Atlis XT prototype electric pickup truck. In a recent post, I already explored the possibilities with solid state batteries for vehicles. One advantage of solid state batteries is they charge quickly. Even more impressive, Atlis has been able to rapid-charge regular lithium-ion batteries by using an innovative cooling process. Using a prototype pack which was only 3kWh, the company was able to reach a full charge in just 12 minutes and 35 seconds. 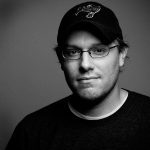 Before you scoff at the pack’s size, Atlis believes the design is scalable. If it’s right, that means you could rapid-charge your electric truck in about half the time it takes to get an 80 percent charge with a Tesla. Whether the cooling system could be effective with solid state batteries or not remains to be seen. If so, Atlis could be the first to recharge an electric vehicle fully in about the same time it takes to fill your gas tank. For its first model, the XT, Atlis is looking to make a big splash. Of course, the XT will use the prototype battery which charges so rapidly, making the truck that much more practical for the average owner. That alone will help broaden its appeal – but there’s more! Range is supposed to be about 300 miles, which lines up with most trucks on the market today. An upgraded version would boost range to 500 miles, which is exceptional. That base model has a target price of $45,000, a point that should also generate plenty of interest. Four-wheel drive comes standard. Each wheel has an independent traction motor, helping the Atlis XT to head out into tough conditions without issues. So far, electric vehicles have pretty much been relegated to urban areas and open highways, but this truck could bring them to remote, far-flung places. Atlis has made an interesting call with the XT. At least for now, it has four-wheel independent suspension. Currently, the only pickup on the market in the US with this setup is the Honda Ridgeline, which isn’t know for super high payload or towing capacity. While the XT has the benefit of high torque electric motors, plus air springs, will it be able to handle much of a load in the bed or hooked up to the hitch? You should be aware Atlis plans to offer dually models, which should boost towing and hauling performance. A 6.5-foot bed is standard on most versions of the truck, while an 8-foot bed is the other option. The claim is the XT will be able to tow between 5,000 and 20,000 pounds, depending on the model you get. Payload capacity sits between 1,000 and 5,000 pounds. Those are respectable numbers, at least at the top end of the range. While the Atlis XT has a fairly traditional look to it, the front portion where the engine would normally be is actually a really cool feature. Like Teslas and some rear- or mid-engine cars, the truck features a frunk or front trunk. Unlike the other examples mentioned, this frunk is supposed to be massive. We don’t have exact specs on it, but Atlis claims you’ll be able to fit two large suitcases in the frunk. Since the hood closes over it, you could store valuable items, things which would normally fly out of the bed at speed or use it for overflow once the bed is full. Trucks should be all about utility, so squeezing out extra storage wherever possible is smart design. To be clear, Atlis Motor Vehicles is a true startup company. While the auto industry is in a state of disruption, it’s still a difficult industry to break into. At the moment, Atlis is looking to crowdfund $1 million to build the first prototype Atlis XT pickup. This is why all pictures of the truck are renderings, because it actually doesn’t exist. Many people have called Atlis out for trying to generate funds without a proof of concept, which is highly unusual. The question you have to ask is if Atlis Motor Vehicles is the real thing or not? Speaking of time, Atlis is targeting 2020 for the launch of the XT. To stay on track, the company should have a prototype soon.